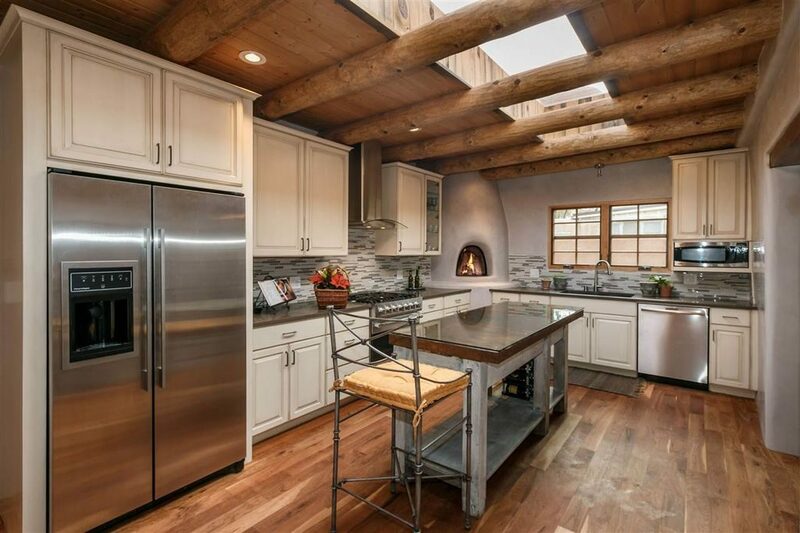 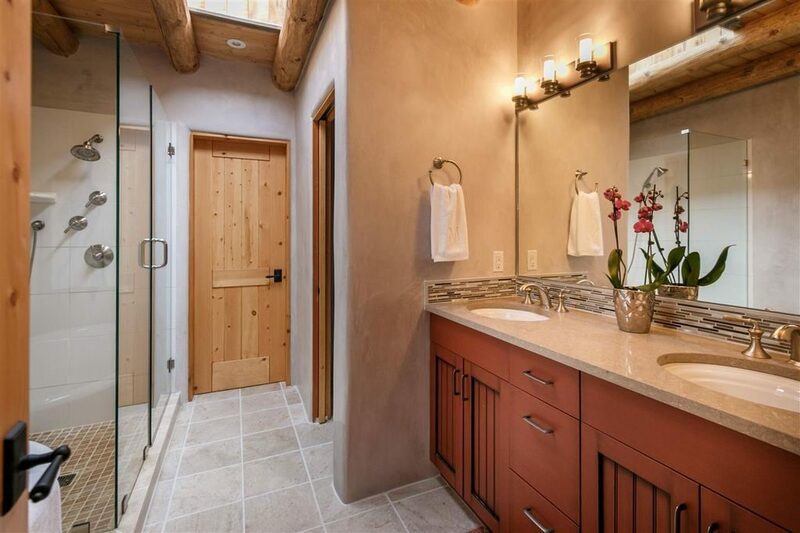 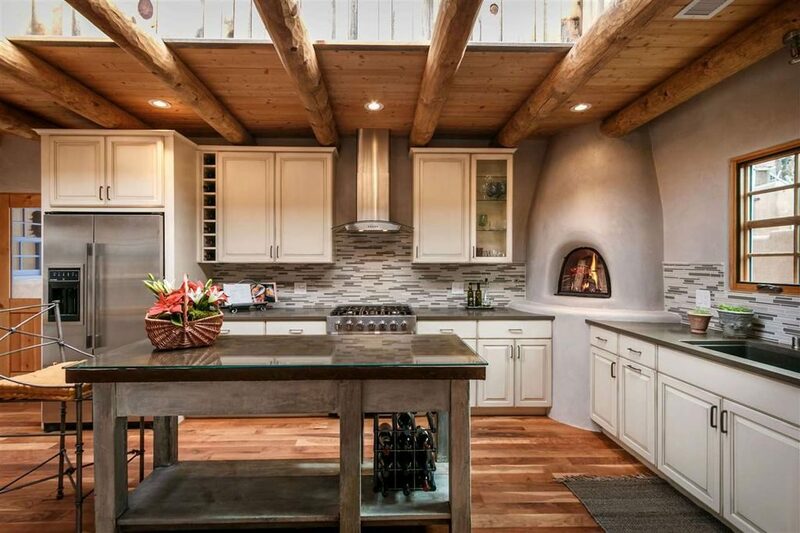 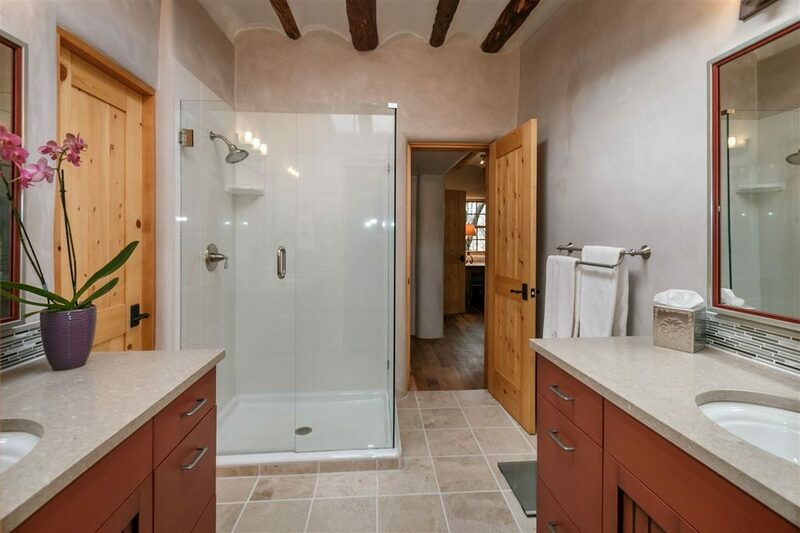 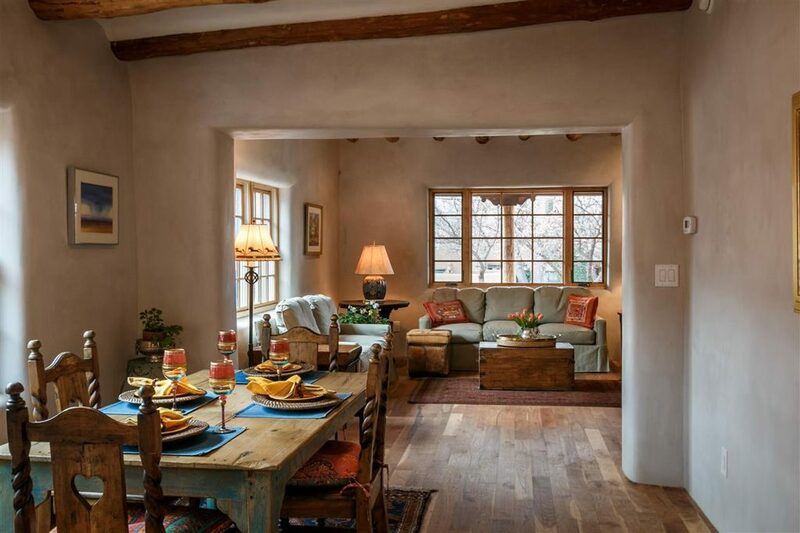 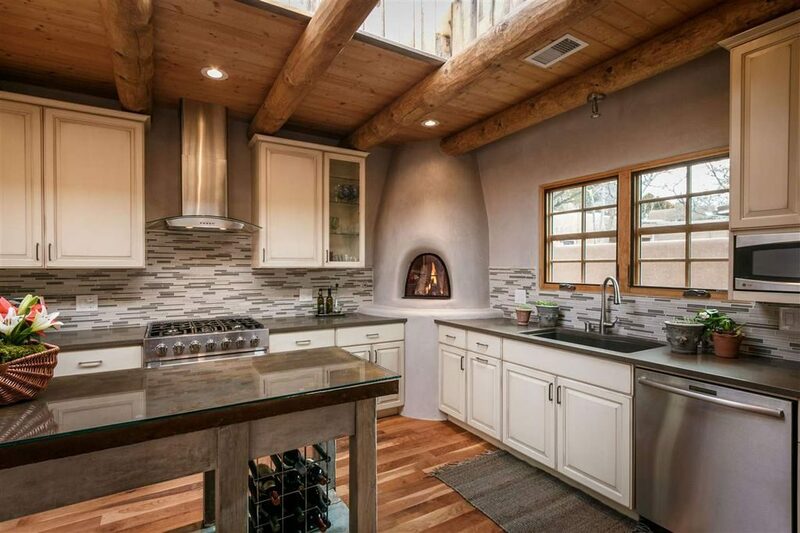 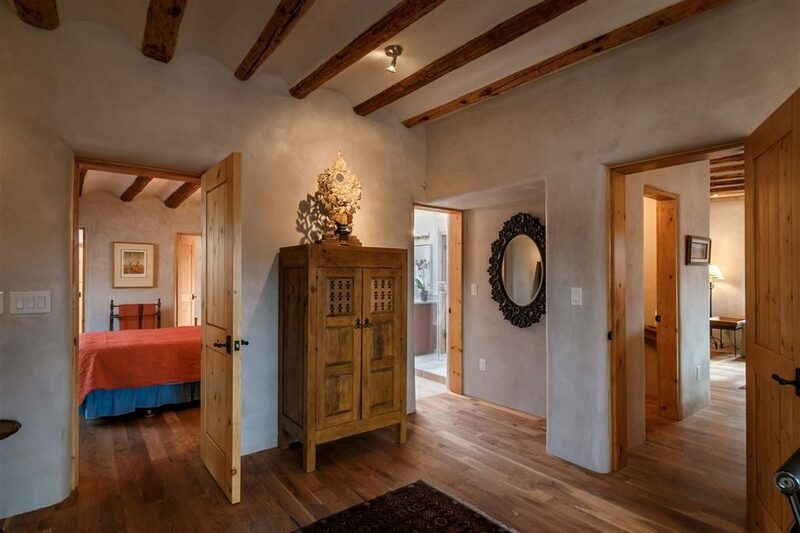 Maybe it’s because of the cold weather here in the Midwest, but lately we’ve been finding ourselves fascinated with homes in warmer climates, especially high desert homes like this pueblo adobe home for sale in Santa Fe, New Mexico. 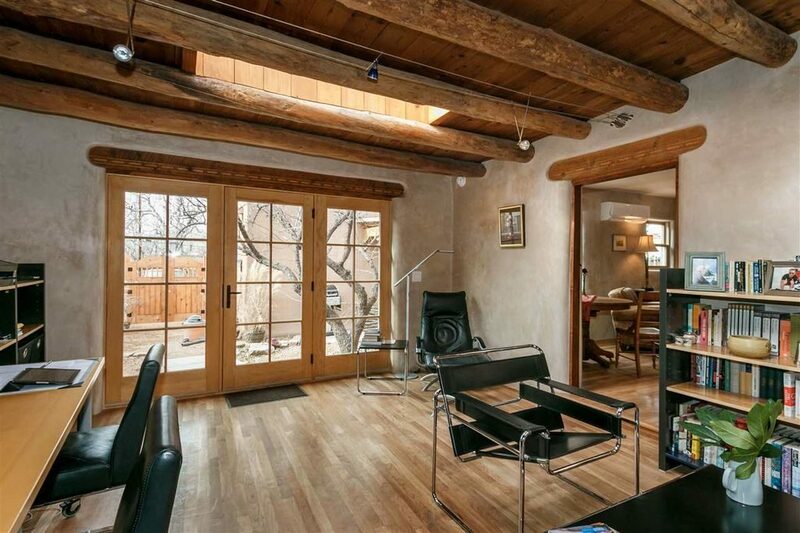 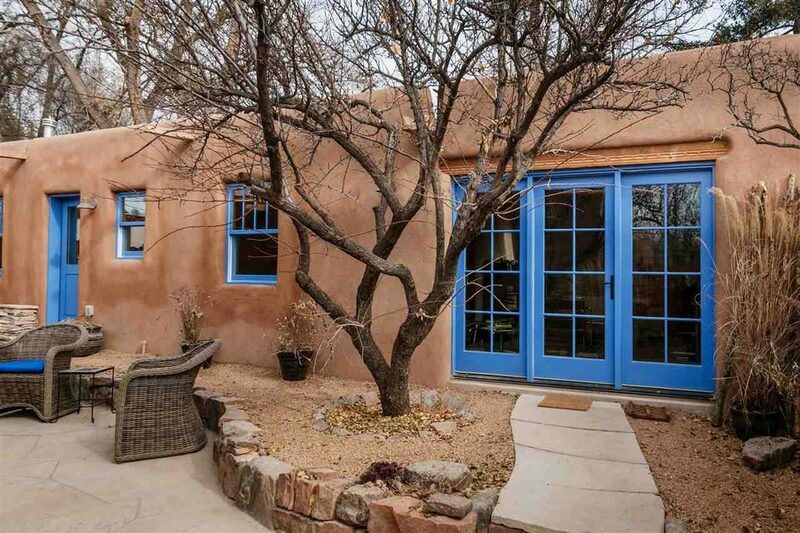 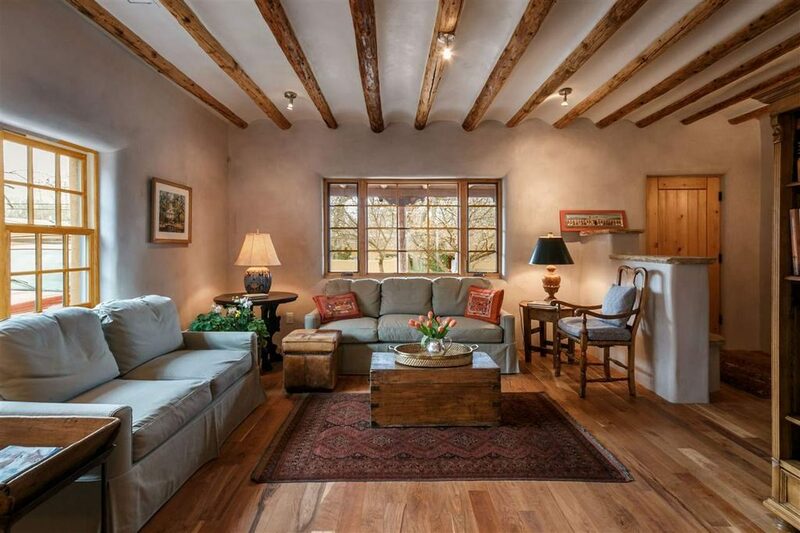 Like some other adobe homes we’ve fallen in love with, this one’s in Santa Fe’s downtown historic district. 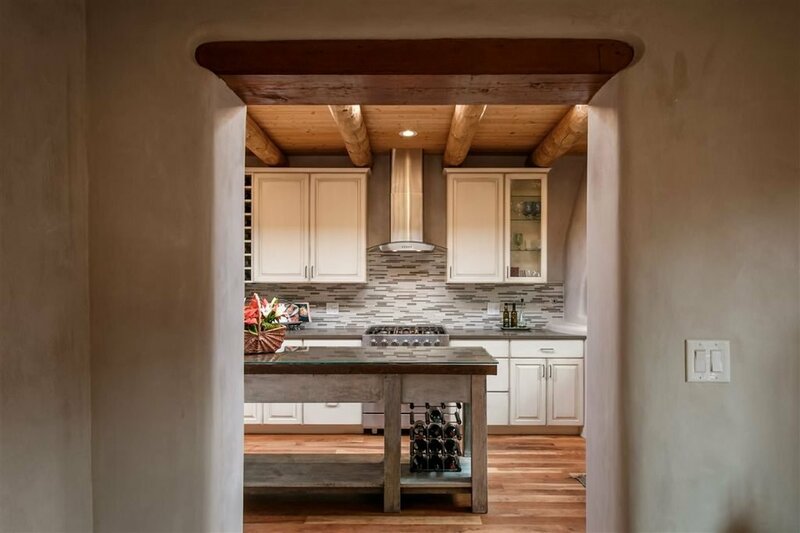 The interiors of adobe homes are sometimes dark, but the big windows and big skylights here let the light pour into this one, nicely balancing the dark wood ceilings. 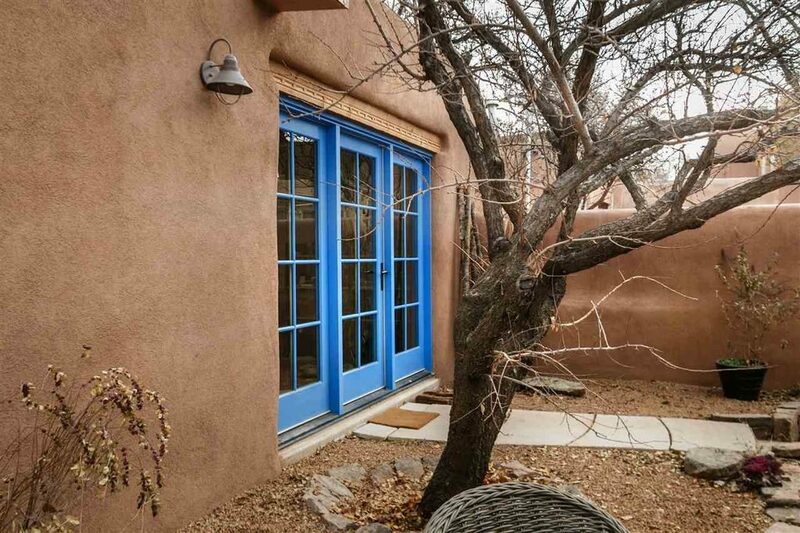 The traditional adobe details are fascinating – look at the soft corners of the plaster, and how the door headers are exposed…we don’t see that here in the Midwest! 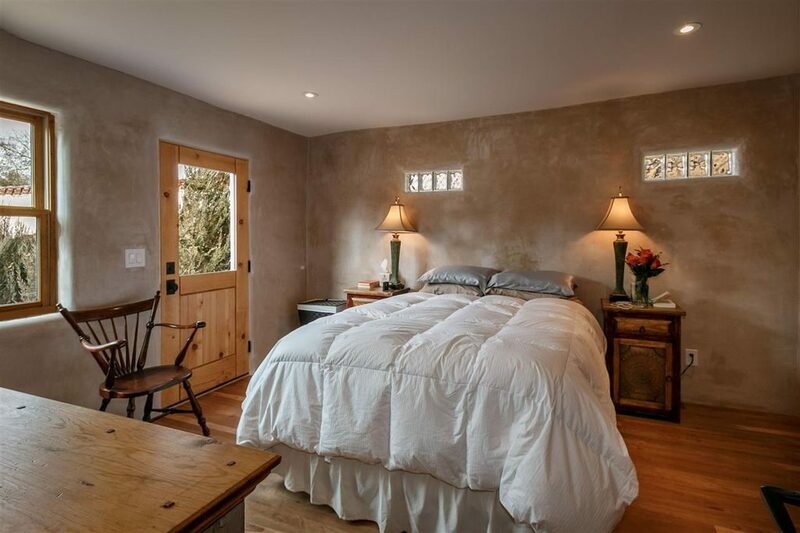 There are actually two homes on the property, a two-bedroom main house and a smaller, one-bedroom guest house. 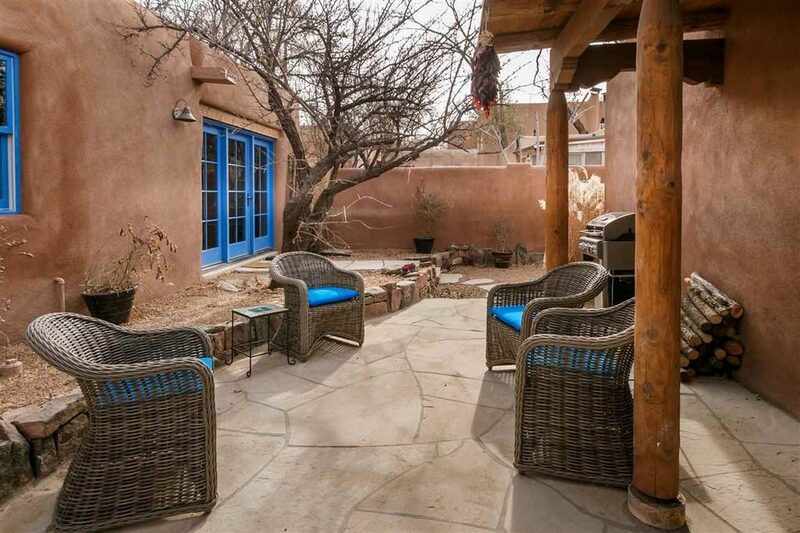 The intimate courtyard between the two is the perfect size. 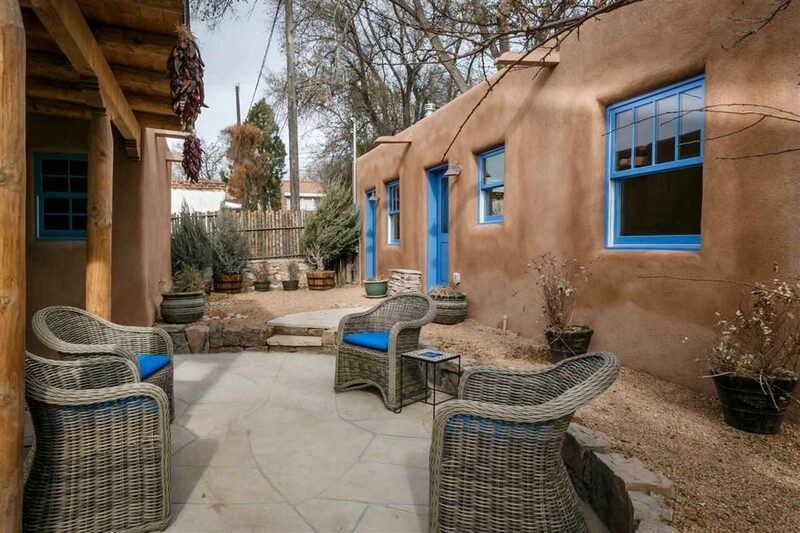 The bright blue of the windows, doors, and seat cushions in this pueblo adobe home is just perfect (more exterior pictures towards the end of this post). 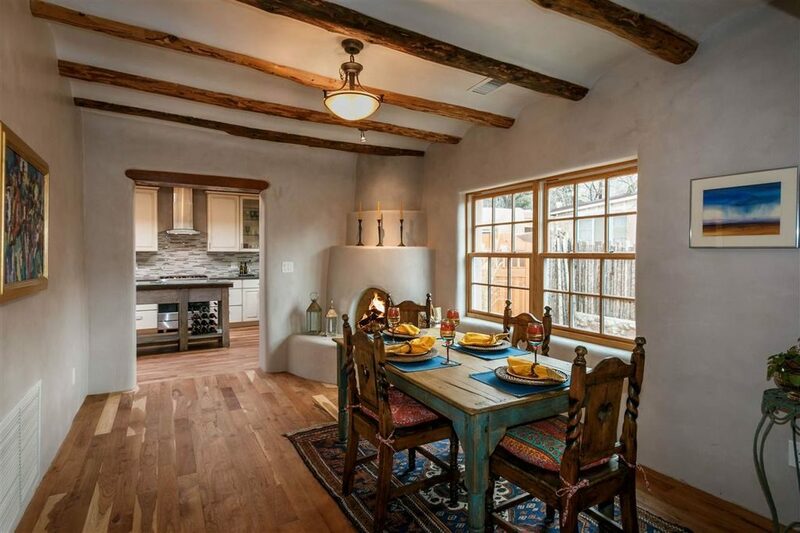 The traditional Kiva fireplace and spectacular wood floors make the dining room special. 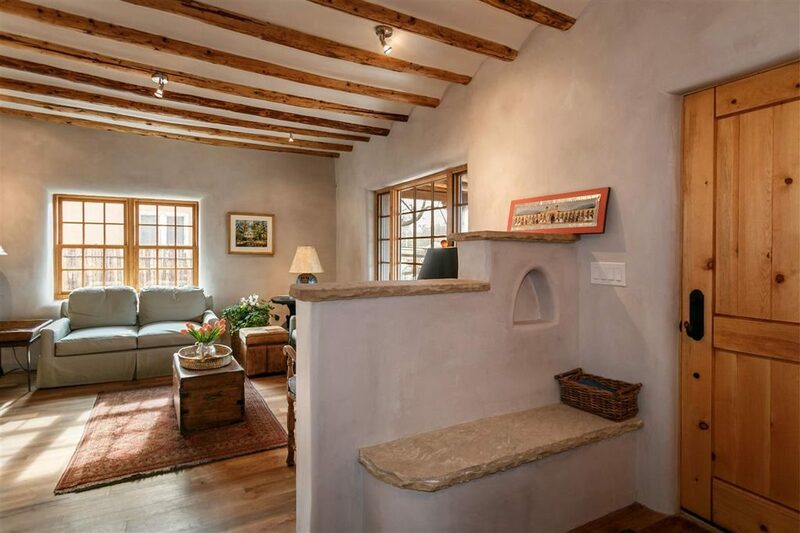 At the front door, a half wall and stone bench separate the entry from the living room. 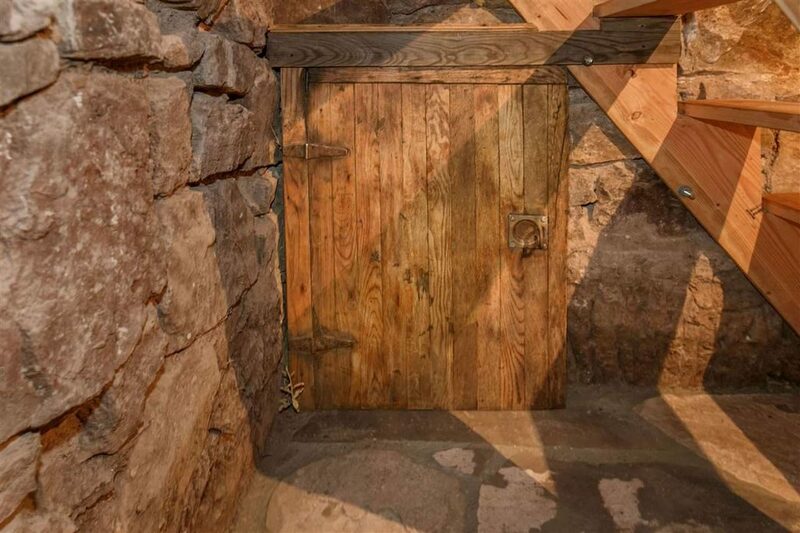 Throughout the house, the board doors with a natural finish add to the warmth and character of the house. 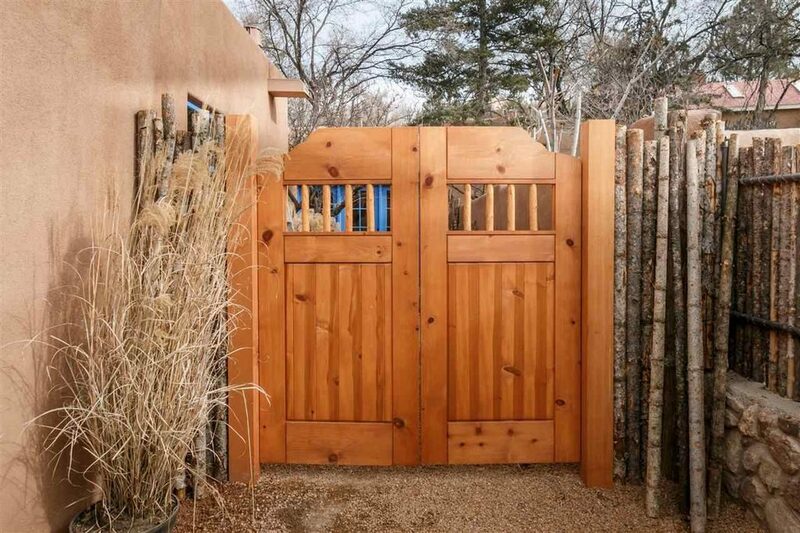 These big gates outside match the finish of the doors inside. 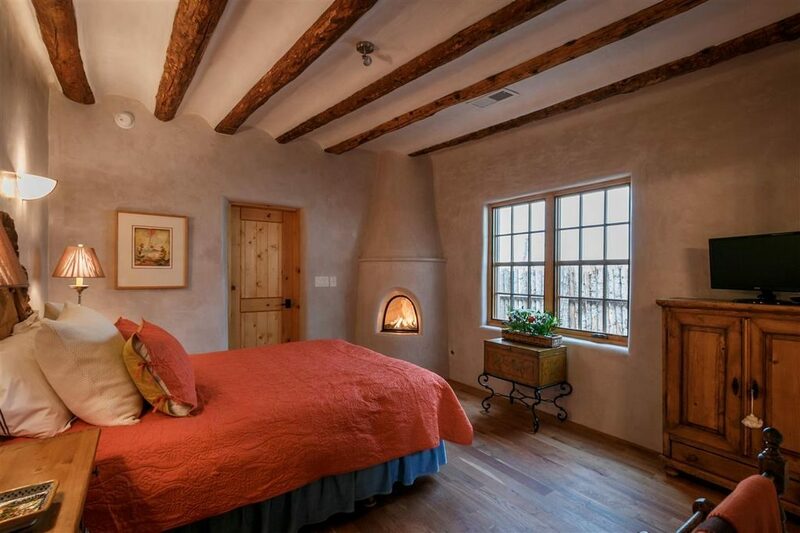 A lovely bedroom – looks perfect for cool desert nights. 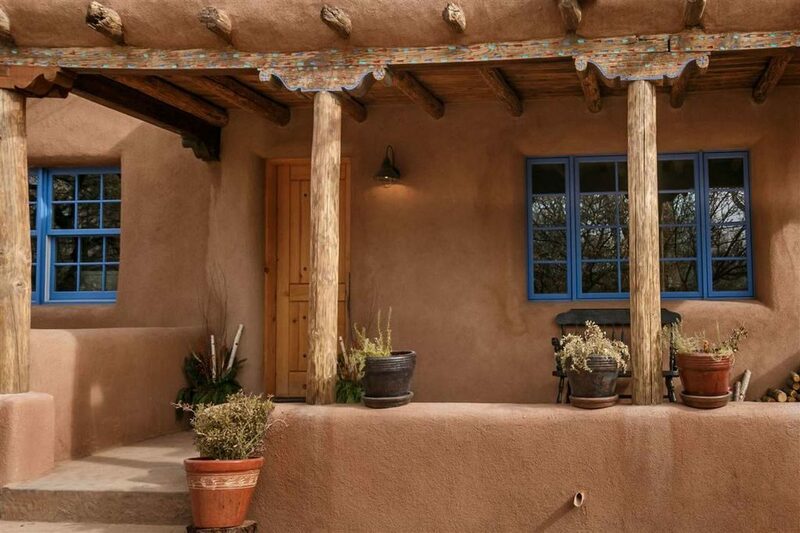 More traditional Pueblo/adobe details on the front porch. 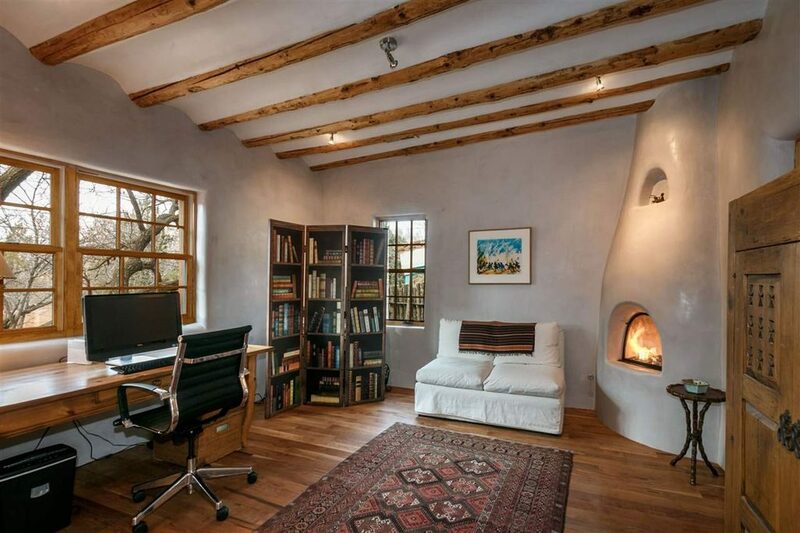 Another Kiva fireplace in the study (FYI – here’s a good article about the origins of the kiva fireplace).